Another award-winning locally produced dish. Sourcing the freshest salmon, combining the freshest ingredients and hand-slicing makes this product a winner. 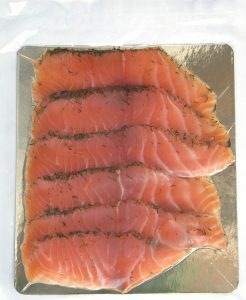 Atlantic salmon gravlax is a great source of Omega 3. 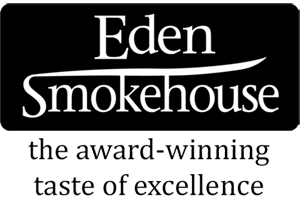 Delicious all by itself or included in a mixed appetiser, canapés, eggs Benedict and salads. Vacuum packed fillet random weight. Atlantic salmon, salt, sugar, white pepper, dill. Keep refrigerated at 4ºC. May be frozen. When opened use within 3 days. May contain bones. Allergen: Fish.